[News] FREE Slurpee Day	[News] Mountain Dew Facebook Reward! 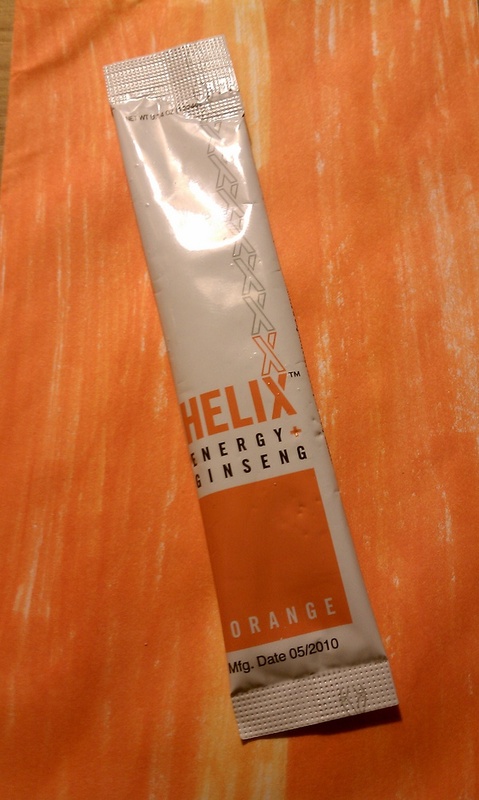 Helix Energy + Ginseng is today’s drink of choice. I got a envelop of two samples in the mail from them. This zesty citrus beverage packed a punch and gave me a energy charge for a good solid four hours after a good day of geocaching and excising. The flavor is a solid sweet pungent orange taste that may be a tad sweet for some people but considering the reduction in sugar and calories compared to other energy drinks its only a issue if your very sensitive to sweet. The drink reminds me of the flavor profile of a orange Kool-Aid or Tang, so if you already like those this is a perfect fit for with a kick. The Helix drink comes in a drink pack like the crystal light packs that you just mix in a bottle of 16.9 oz water and away you go. One cool idea I have also tried is to carbonate mine with my soda machine I have or you can use soda water instead and have some carbonation in your drink as well.